If you’ve always felt a certain connection with the King of the Monsters, your time has come. Soon enough, the only thing that will stand between you and the title of Godzilla Expert is a couple of tests from Toho Studios. According to new reports, the company behind Godzilla is ready to welcome the beast’s biggest fans to Japan. Toho Studios is holding its first-ever ‘1st Annual Godzilla Certification Exams’ — and they are not going to be easy. The entry free will cost you a solid $45 USD for the easy exam while the intermediate will run you more at about $53. However, if you know you can ace both tests, fans can get a discounted rate to take both exams for $85. You can submit applications to Toho Studios for a spot here. As for what the test will cover, it will vary. When it comes to the beginner exam, it will draw multiple choice questions from the actual Godzilla Exams Official Text which Takarajimasha published awhile back. Questions will also be sourced from the 1954 Gojira film as well as Shin Godzilla. And the intermediate exam? It has all of the above, but you will need way more movie knowledge. All 29 Godzilla films produced in Japan will be used in the examination, and test takers will have to get at least 70% of questions correct to pass. Beginners will have it a bit easier with a 65% pass rate. 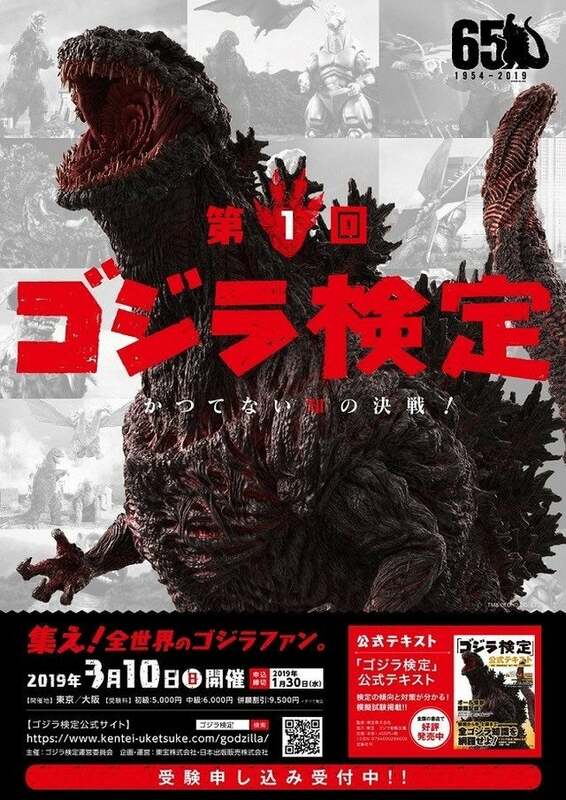 So far, there is no word on what certification fans will get, but they will definitely acquire bragging rights if they pass this Godzilla test. Toho Studios will also havve limited-edition goodies up for sale at the exam centers, so kaiju fanatics won’t want to miss out on this brainy bash. So, do you think you can pass one of these tests...? Let me know in the comments or hit me up on Twitter @MeganPetersCB to talk all things comics and anime! "The new story follows the heroic efforts of the cryptozoological agency Monarch as its members face off against a battery of god sized monsters, including the mighty Godzilla, who collides with Mothra, Rodan, and his ultimate nemesis, the three headed King Ghidorah. When these ancient superspecies, thought to be mere myths, rise again, they all vie for supremacy, leaving humanity's very existence hanging in the balance." Godzilla: King of Monsters will be in theaters on May 31, 2019 while Godzilla vs. Kong hits theaters on May 20, 2020.